After a highly successful 2004 running a Lotus Elise in the British GT Championship (as Gavan Kershaw Racing), then switching to a Mosler in 2005, Cadena – in the guise of Lotus Sport Cadena – switches back wholeheartedly to the Lotus brand for 2006, not with a programme in the European FIA GT3 Championship, but in the Avon Tyres British GT Championship, in the GT3 Class. 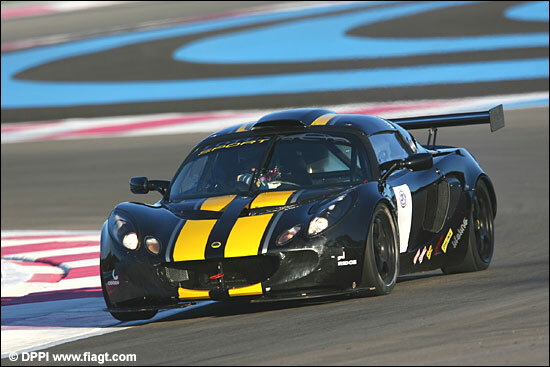 Lotus Sport, the performance division of Lotus Cars, and Cadena have confirmed a two-year association, as Lotus Sport Cadena, with two Lotus Sport Exige GT3 cars to be campaigned in the British GT Championship in 2006 with an expectation of also entering FIA European GT3 Championship in 2007. 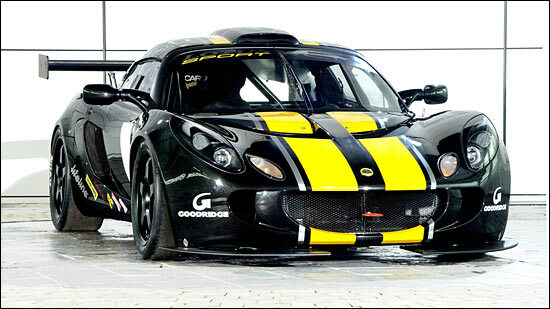 The Lotus Sport Exige GT3 has been developed by Lotus Sport and is a derivative of the new Lotus Exige S coupe model. Weighing in at approximately 750 kg, it stays true to the “performance through light weight” core Lotus philosophy. The car uses a race prepared 1.8 2ZZ-GE VVTL-i engine with a Roots type supercharger and air-to-air intercooler which utilises the Lotus T4e Engine Control Unit to produce 285 hp (289 PS) at 7,800 rpm. This gives a power to weight ratio of 380 hp / tonne. Drivers are yet to be confirmed for the two chassis. 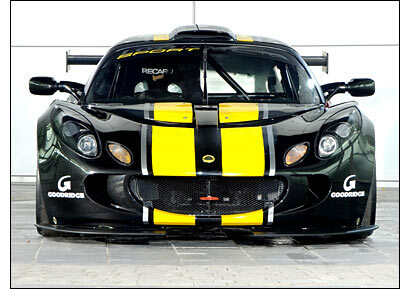 So suddenly the British GT Championship, not European GT3s, has the bonus of the lightweight Lotus Exiges this year. Doubtless the likes of Gavan Kershaw and Barrie Whight will be hounding the GT Cup Porsches mercilessly, just as they did in 2004. Here’s the first of the Exiges, at the GT3 test day at Paul Ricard in early December, with the other image showing the same car in static pose (neither in Cadena colours yet).